The best part of San Francisco happens to be the worst part of San Francisco. When you’re up for it, the constant flurry of activity is fun — boredom is a near impossibility. But on those rare occasions when you’ve knocked too many elbows and the ticking of the crosswalk starts to drive you mad, where the hell are you supposed to go? 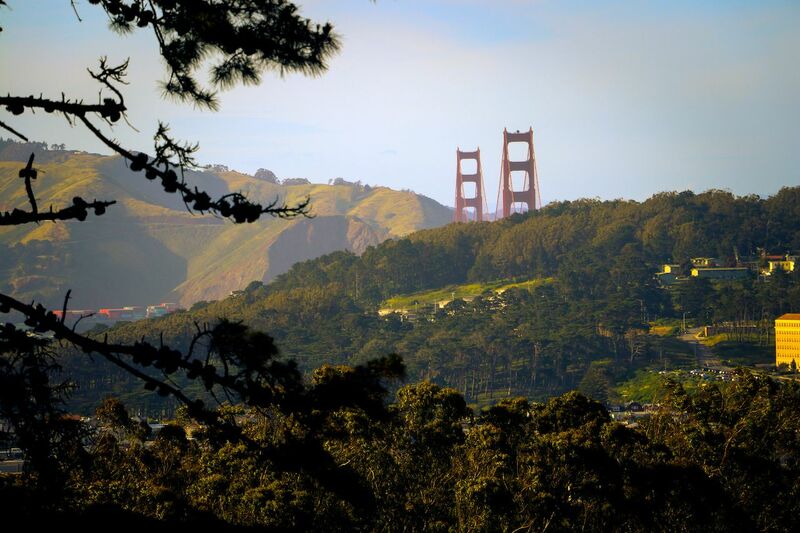 Luckily, San Francisco has a few unexpected natural reprieves within the city limits. Here are 9 unexpected spots to find nature within San Francisco for the days when you’ve just got to get away. Hiking up a hill to a microwave tower for city views might not sound like your idea of an escape, but trust me on this one. Head South along Folsom St. until the homes start to look more like dollhouses, and the street climbs upward to Bernal Heights Park . If you’re one for instant gratification, you’ll be delighted to know that the ascent up Bernal only takes a quick 20 minutes. Once you’ve reached the top, you can round the summit for a complete 360° view of the city or scout out a patch of grass and watch the fog roll in. Golden Gate Park is just about as “undiscovered” as San Francisco itself, but the 1.5 square miles of open space is just enough to create the illusion of solitude in a crowded place. You can find the DeYoung Museum, and the Academy of Sciences here, but perhaps the loveliest places to explore in Golden Gate Park are not man-made. For a real retreat from the city, keep your eyes out for the entrance to the Heroes Redwood Grove or Stowe Lake. Not to be overlooked is the park’s premier attraction — doing absolutely nothing. On a weekend, Golden Gate Park is more like a psychedelic music festival with drum circles and acro yoga workshops, so come here to sit back, relax, and let the entertainment come to you. The 55-acre San Francisco Botanical Gardens lie within Golden Gate Park. You don’t have to know a thing about botany to appreciate a living museum as good as this one. Within the gardens, you’ll find more than 8,500 plants from around the world, as well as rare collections of magnolias and cloud forest plants. Their organizational mission is to “cultivate the bond between people and plants”, which is quite perfect for the days when you want to reconnect with nature. It would be unfair to write a list about nature in San Francisco without including a tech solution to the general lack of nature in San Francisco. Now open in the Presidio, Urban Safari is a virtual reality showroom that gives guests the opportunity to rock climb, summit Everest, and even venture into outer space without ever leaving SF. 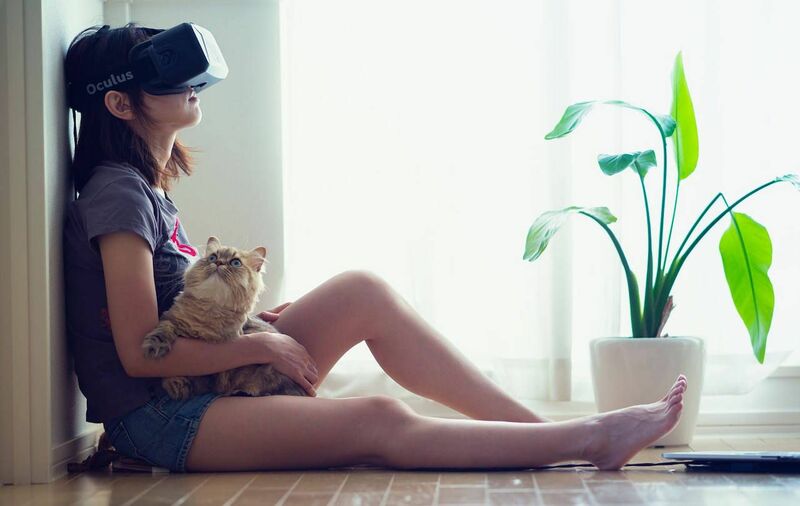 The rooms can be rented by the hour and come equipped with an Oculus Rift, a Playstation VR, and HTC Vive. This experience is worth checking out even if you prefer your nature to be more… natural? 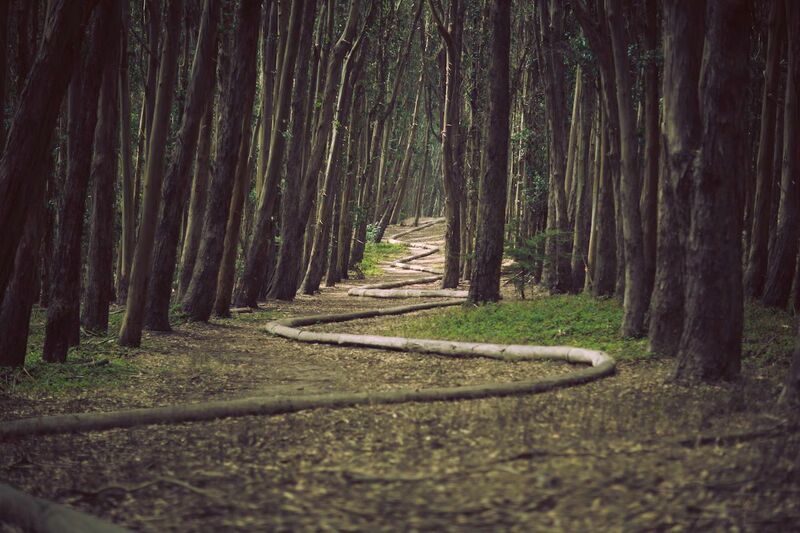 If the idea of a virtual reality hike is too depressing for you, retreat to San Francisco’s very own urban forest with some 24 miles of hiking trails to wander. The Presidio is sparsely populated by San Francisco standards, leaving you alone with pines, cypress, and eucalyptus trees. 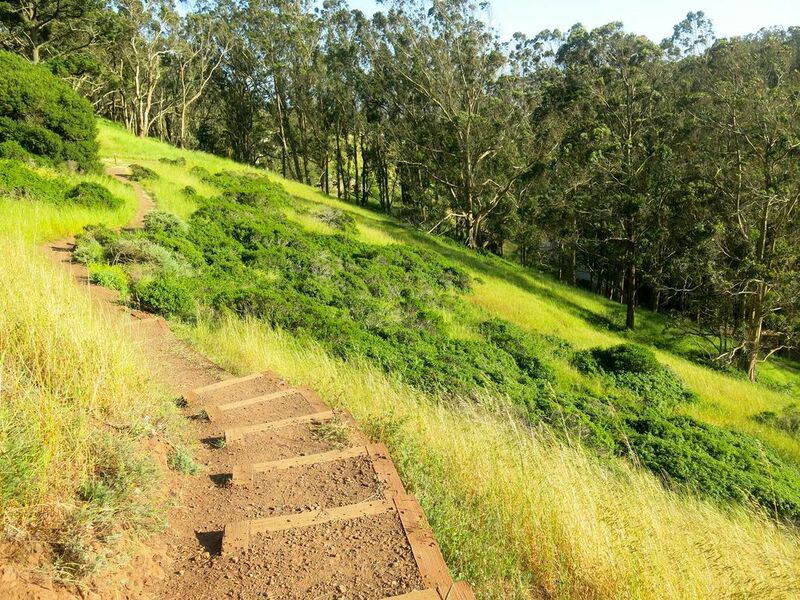 One of the Presidio’s best hikes is the Battery to Bluffs Trail — it is more of an amble walk, but you’ll still enjoy going down the wooden steps towards the Pacific. One of the most unexpected natural hideouts of all is the rooftop garden at One Kearny. While 23 Geary St. looks like a standard office building from the street, its rooftop is known as a POPOS — privately-owned public open space. The security guard will give you a spiel about the rules of the rooftop, after which you’ll be allowed to ascend to the 11th floor by elevator. There is a carefully-trimmed garden with plenty of benches where you can eat your lunch or read a few chapters of your book. 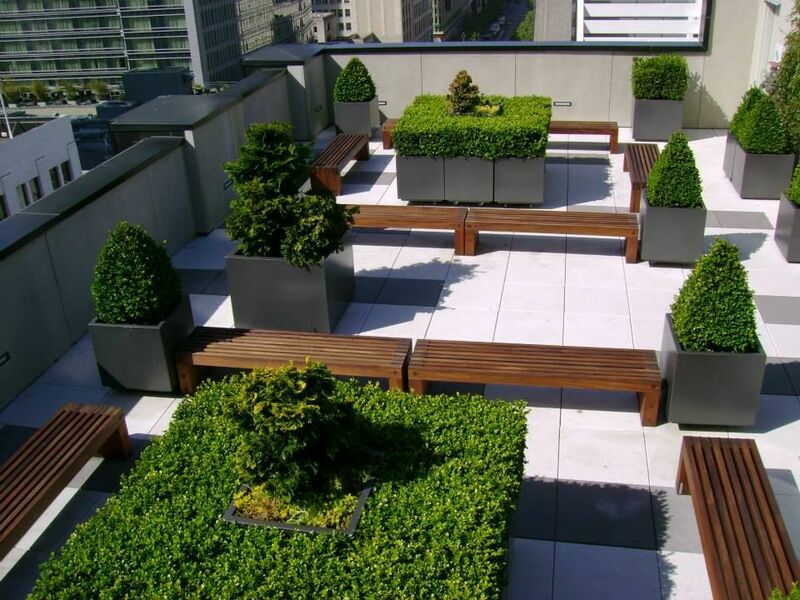 A rooftop garden might not sound like much, but on those days when the din of the city has become too loud, a public space like this one is everything. Often overlooked in favor of more faraway hiking trails, Glen Canyon Park is surprisingly wild given its urban location. Within the canyon, you’ll find a thriving ecosystem where willows and horsetail grow beside free-flowing creeks. The park is part recreation center with tennis courts and a baseball pitch, but its relative isolation makes it one of the few San Francisco spots completely insulated from traffic noise. 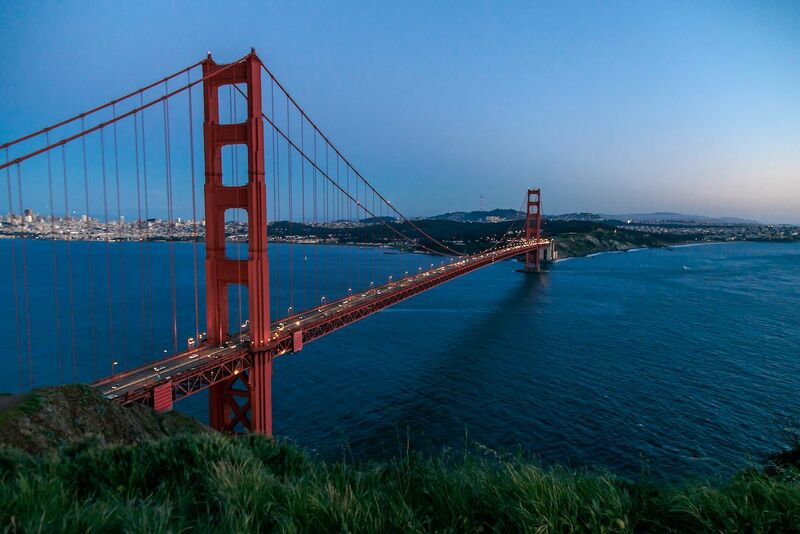 Yeah, this technically takes us out of San Francisco, but of course, the Golden Gate Bridge deserves mention. Surrounded by water on three sides, San Francisco compensates for its lack of summit with a coastline. Peek over the edge on your 1.7-mile ride across the Golden Gate Bridge to watch the waves crashing against the bridge’s piers. When you’ve reached the other side, don’t get sucked into the swarming Visa Point. Instead cut left towards Battery Spencer for the most classic view of San Francisco. 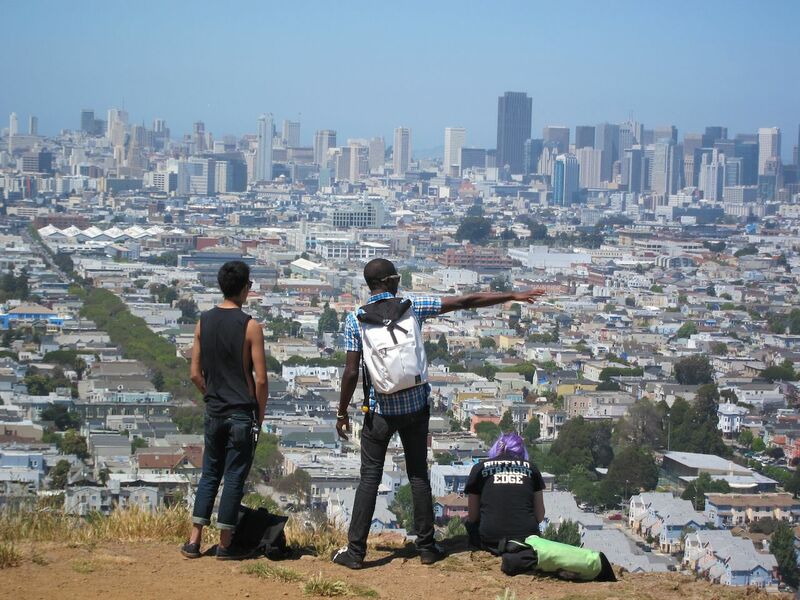 If you’re feeling more ambitious still, continue along the trail towards the Marin Headlands — the rocky ridges and valleys jutting out where the San Francisco Bay meets the Pacific Ocean. 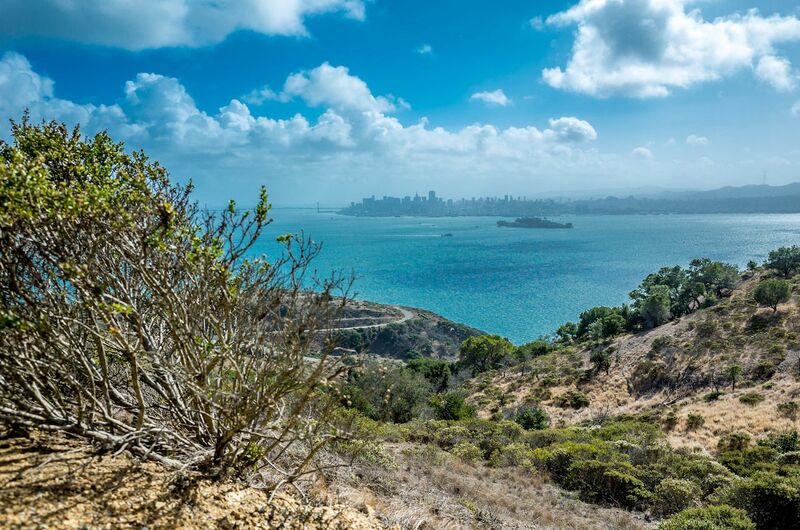 You’ve surely heard of Alcatraz, but the locals’ favorite landmass on the Bay is Angel Island State Park . Historically, the island has served a handful of purposes from military fort to a quarantine station, but its most notable era was its time as an immigration port for Asian immigrants — “The Ellis Island of the West”. Now a state park, you can make a whole day of visiting Angel Island by hopping the ferry with your bike and pedaling through its 760 acres.